Dr. Pierce Mil Morgan was born and raised in Tupelo, Mississippi. He is the son of Tommy and Frances Dempsey. He graduated from Tupelo High School and received his Bachelor of Science degree in Biological Sciences from Mississippi State University. Dr. Morgan obtained his Doctor of Dental Medicine (D.M.D.) degree from the University of Mississippi School of Dentistry in Jackson. He has been a volunteer in many dental outreach programs including the Mississippi Mission of Mercy Dental Outreach Project where he assisted in various procedures. He has also volunteered with the Give Kids a Smile Day serving elementary children in the greater Jackson Metro area. He has been a Mission First Dental Clinic volunteer while in Jackson as well as serving at several Mississippi Federally Qualified Health Centers around the state. As a senior dental student, Dr. Morgan received the Dr. C. Wayne Caswell Pankey Philosophy Award for demonstrating outstanding skills in the area of occlusion. 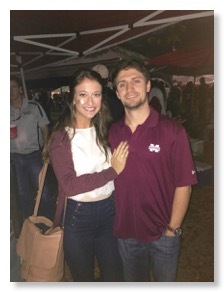 Dr. Morgan met his wife and dentist partner, Dr. Kaitlyn Ellis Morgan, while attending Mississippi State University and becoming best friends with her as they attended dental school together. 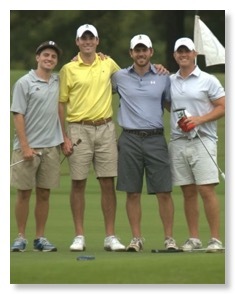 Shortly after graduation from UMC, they married and have joined Dr. Ellis' family dental practice. He is a member of the Mississippi Dental Association and is also a member of the American Dental Association. Dr. Morgan enjoys playing golf, hunting and fishing.